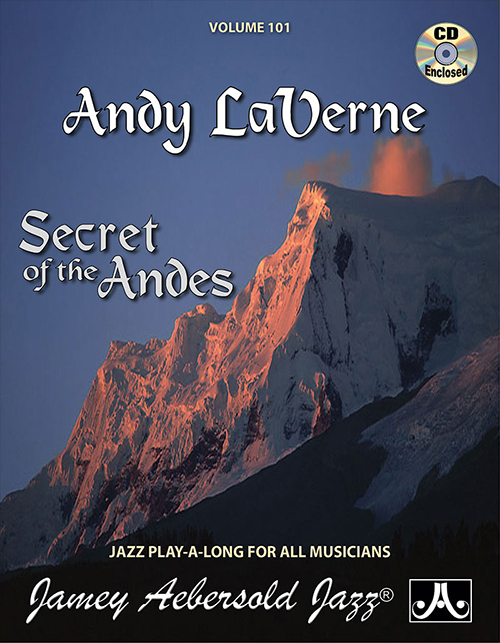 Noted jazz pianist, composer, recording artist and educator Andy LaVerne has drawn from his decades of experience playing with master musicians from Getz to Lovano to create this comprehensive compendium of contemporary moving voicings. Quartal, quintal, drop 2, dominant 7b9/diminished, triadic, whole tone and chromatic performance proven voicings pioneered by McCoy Tyner, Chick Corea, Herbie Hancock, and Andy himself are presented and fleshed out in all twelve keys. This book picks up where others leave off, enabling you to replace static chords with voicings that move melodically, dramatically, and gracefully over the entire range of the keyboard. Firmly rooted in contemporary jazz theory, the emphasis is on practical performance applications. Andy ties it all together with illustrations of comping choruses for five standard jazz tunes. Chords in Motion satisfies a long awaited need in actual comping situations, and shows you how to move chords through varying harmonic rhythms. 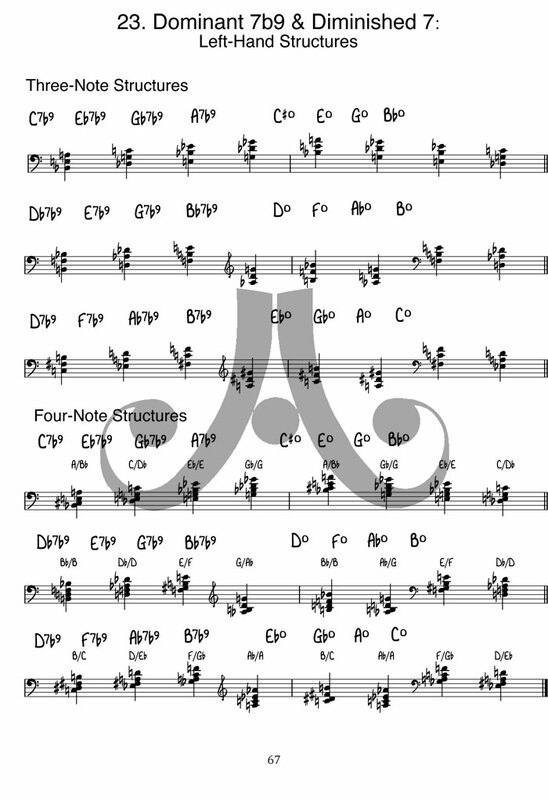 FINALLY – a book that gives you moving voicings, and sets them in motion in all twelve keys. 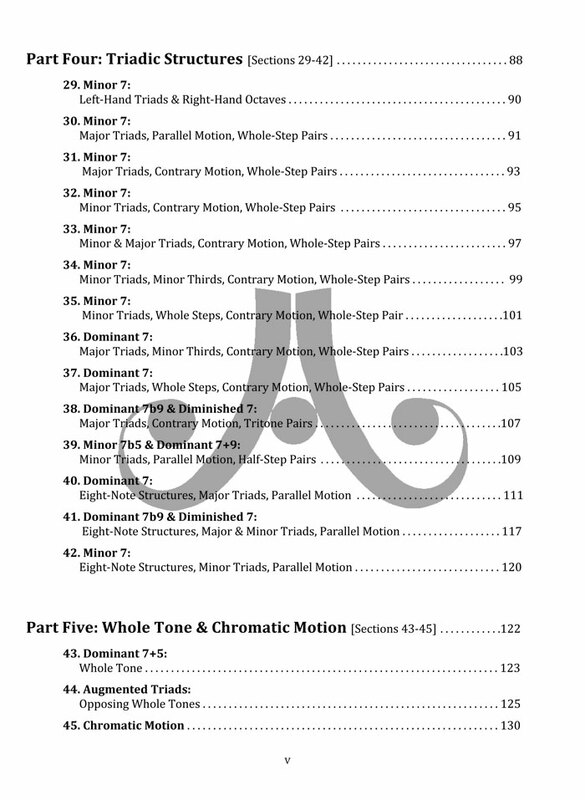 Chords in Motion is a valuable resource for all keyboardists, arrangers, and instrumentalists. Activate, animate, and energize your comping with this encyclopedic volume. 156 pages, spiral bound for easy opening. 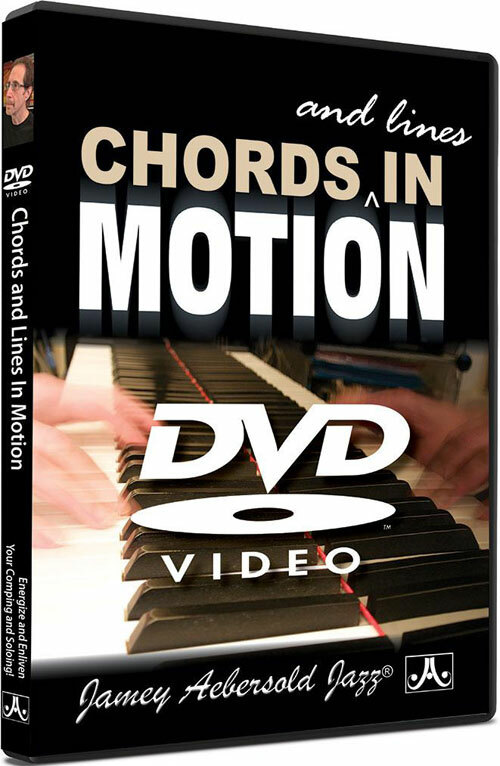 NOW AVAILABLE - "Chords and Lines In Motion" DVD (product code CLIM). The perfect companion for this important book. Andy carries the flame of Jazz piano tradition and just great music. He always inspires me. This is a great book! I am going to sit down and play through this!! I am always telling my non-piano playing students how important it is to work with (and internalize) the sounds that we live with all our lives as Jazz musicians. Coltrane spent years sitting at the piano and so should all of us!!! One thing about Andy…he is complete as can be and has been consistently so for years in both his teaching materials and playing. He is completely knowledgeable in such a way that when I play with him, I know he KNOWS!! Plus he is one of the smoothest and polished of players around. Great book…encyclopedic in content. I've played and recorded with Andy LaVerne many times over the years and in many different settings and he's always come up with the hippest, most interesting chords in the most musical way! His way of playing and looking at chords inspires me as a drummer and his rhythm section partner to play things that are in turn inspiring to the rest of the band. This book, helps musicians, understand, in a clear thoughtful presentation, how to go about getting this together. 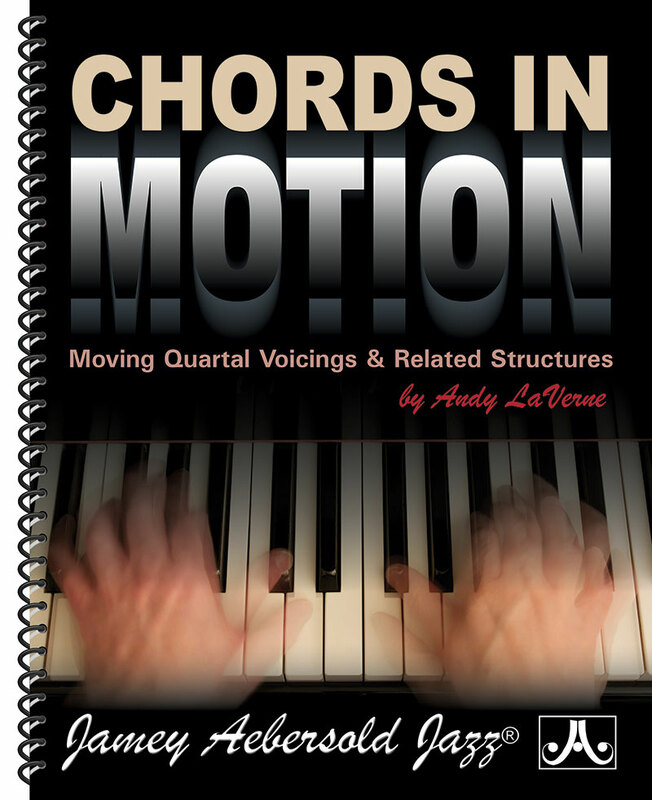 Chords in Motion is an outstanding and comprehensive guide by Andy LaVerne, whose encyclopedic knowledge, decades of experience and brilliance as a performer and educator make this an invaluable handbook of modern jazz piano harmony. Its user-friendly, intelligent design enables musicians to expand their harmonic palette and potentially transform their playing, writing and arranging. Chords in Motion is an invaluable contribution to jazz musicians! Chords in Motion is exactly the book I'd expect from Andy LaVerne. It's clear, openhearted and inspiring, as has been every conversation I've had with Andy over the years. Long a fan of his playing, I have enjoyed this look behind the curtain at how Andy LaVerne formulated his signature style. One other thing -- any pianist, no matter his/her approach, will gain insight into what will surely be new and exciting musical directions. What a great resource for expanding the harmonic palette! Chords in Motion is a must have for the aspiring young jazz pianist as well as the seasoned veteran. Another winner from Andy! In Chords in Motion, I recognize chords and sounds that have inspired me to compose and play: harmony from the music of Chick Corea, Herbie Hancock and McCoy Tyner. This book is well organized, and from the beginning gets you playing. Each chord structure is explained and developed. There is plenty to practice. I especially like the exercises using contrary motion, arpeggiation & pivot, and the application to tunes. The reader will be tempted to stop on every page and compose. I found the "Lost Chord," but won't tell you the page number. Ever wonder how to move harmony around instead of repeating the same chord voicing over and over? 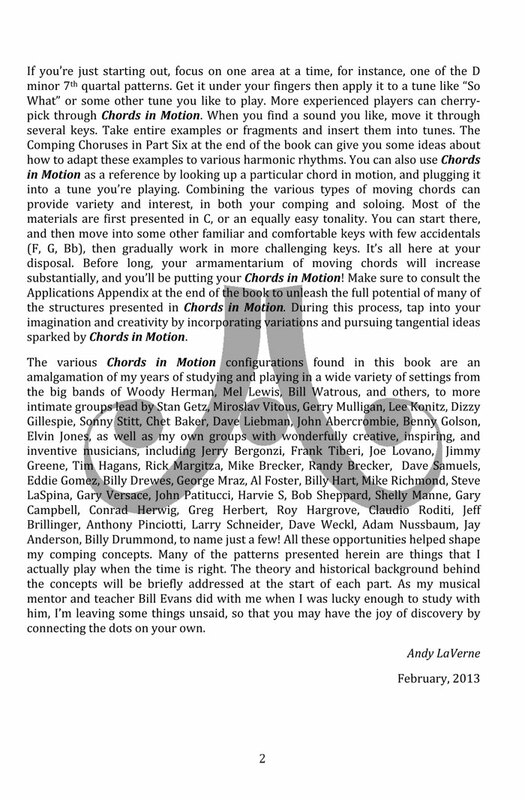 Then Chords in Motion is a must have book for you! Andy has included a ton of information that will open up your comping and should keep you busy with new ideas for a long time! I highly recommend it! Chords in Motion is an essential guide to expanding one's conception of modern Jazz Piano Harmony. 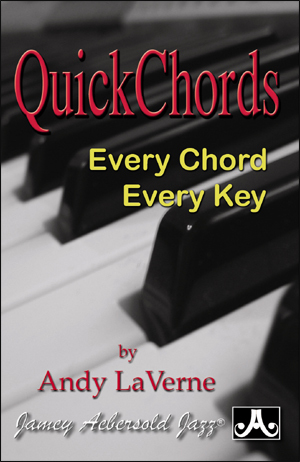 Andy LaVerne has managed to outline in a very practical and concise way, modern principles of piano chord voicings, as they pertain to the Jazz Pianist's primary group function of comping. 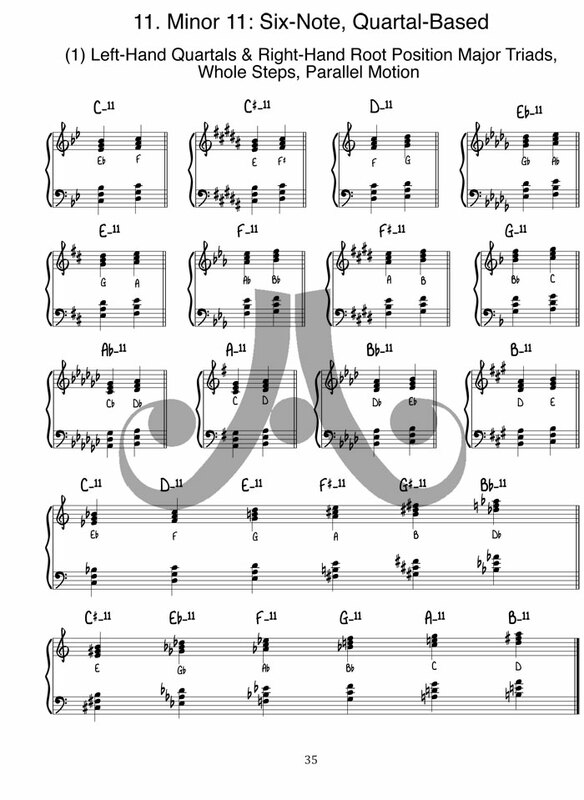 Chords in Motion should be fun to take into the practice room to explore new ways of sustaining harmonies over the entire register of the piano. It is encyclopedic and thorough in its content. No stone is left unturned! 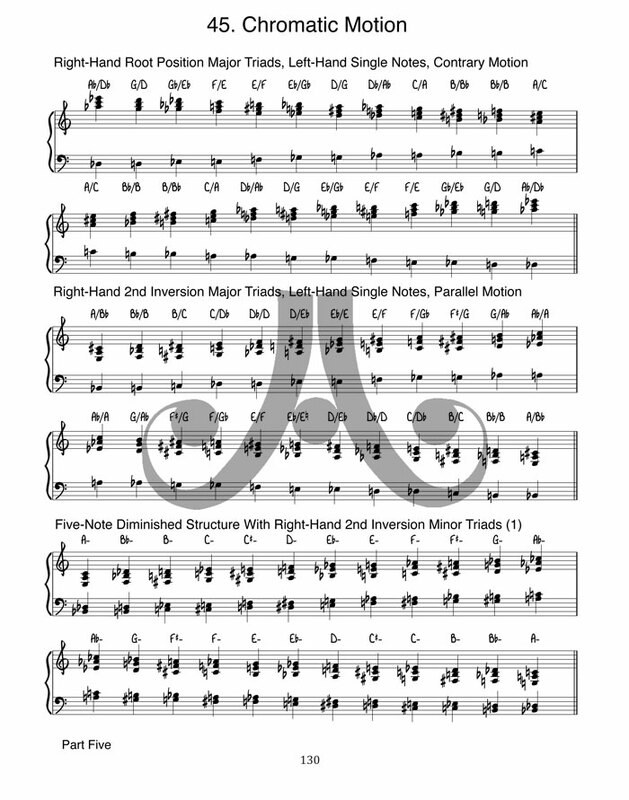 Chords In Motion is an excellent practicing resource that provides a garden of harmonic sonorities for a musician to choose and explore at the piano. I like the way that Andy has made the information accessible to any level of student. I look forward to discovering some different sounds with this book. 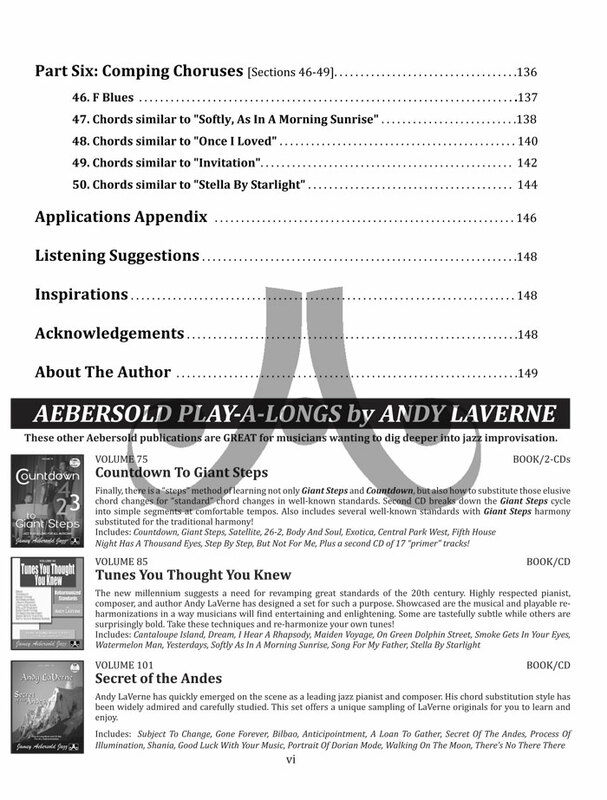 I am delighted to recommend Andy LaVerne’s Chords In Motion to aspiring jazz pianists! Andy is a superb pianist, very capable of addressing this topic. Prior to pianists like McCoy Tyner, Herbie Hancock, Bill Evans, and others, most pianists were content to have acquired a small handful of chord voicings, generally with the chord roots on the bottom of the voicings. Though ‘rootless voicings’ were adopted in later years, they were primarily for the left hand and generally only used the 3rd or 7th on the bottom. 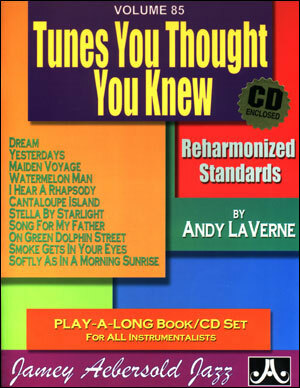 But now the serious jazz pianist needs to be able to move his or her voicings in a more diatonic manner, as shown in Andy’s book. Andy LaVerne's Chords in Motion is a study of encyclopedic scope on the use of harmonies based on fourth intervals in the context of jazz harmony. There is a wealth of information in terms of voicings, voice leading and chord/scale relationships and their application to common harmonic formulae (ii-V, etc.) and the chord progressions used in blues and common standard tunes. Jazz musicians interested in this vocabulary should find this book to be a useful launching pad for exploring this important corner of the world of jazz harmony. 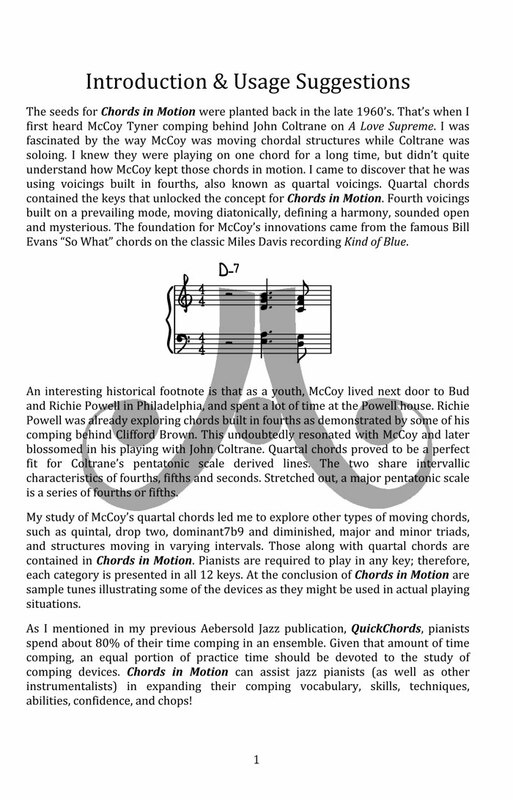 Chords in Motion is a highly detailed, informative and filling-in-the-gap text. It’s an important and welcome addition to the jazz piano literature, which can be applied to any level of proficiency. 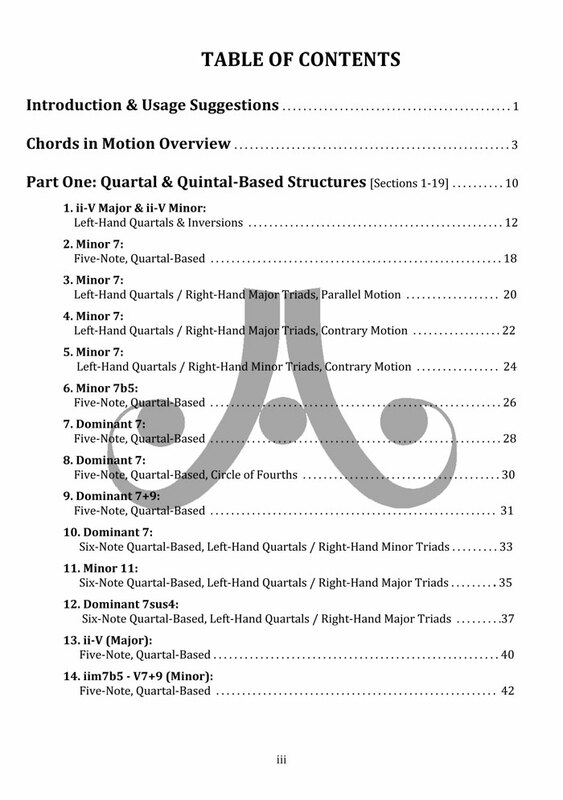 Fantastic pianist Andy LaVerne has put together an amazing, detailed, and incredibly comprehensive guide for effectively implementing quartal and related voicings. He has honed in on the 'secret' to using these structures musically and creatively: moving the voicings through changes in logical and interesting ways. 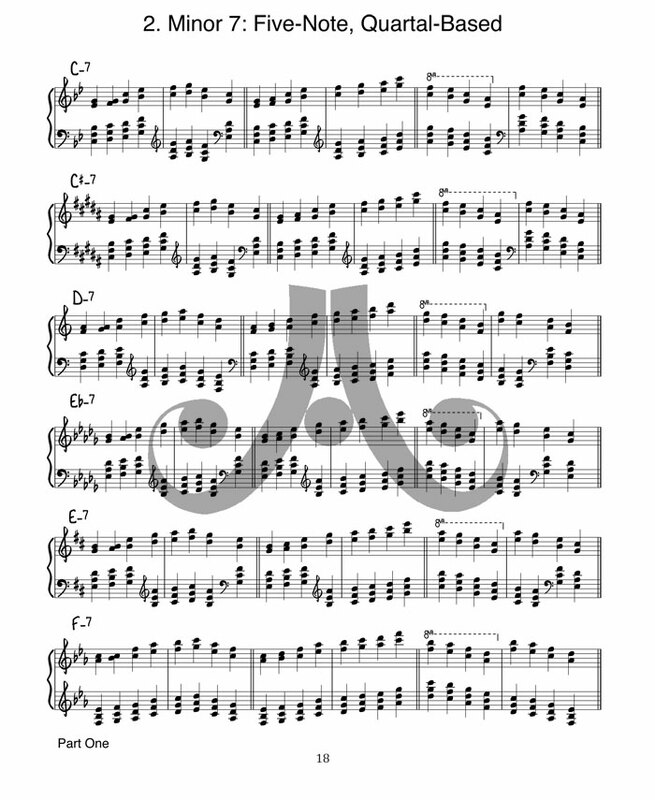 Clearly presented, extremely thorough, and loaded with information, Chords in Motion is a must-have for any pianist! Chords in Motion is an in-depth look at fourth and related voicings that give an atmosphere that you want to improvise on. We play over the voicing, not the chord symbol. Chords in Motion targets that modal atmosphere that horn players love playing over. Love this book - can't wait to start practicing it! 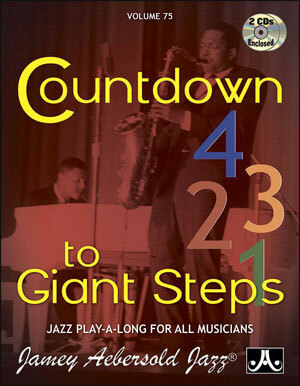 I was thrilled when Jazz Piano Great Mulgrew Miller agreed to write a quote for this book. I was deeply saddened to hear of Mulgrew’s passing just days before publication. All who loved Mulgrew and his music will sorely miss him, and are grateful for the rich musical legacy he left us. Rest easy, Mulgrew.